The National Geographic channel have announced the release of the short film Before Mars which is the dramatic backstory of Hana and Joon Seung, identical twin sisters who will grow up to be central characters in the upcoming global event series, MARS. 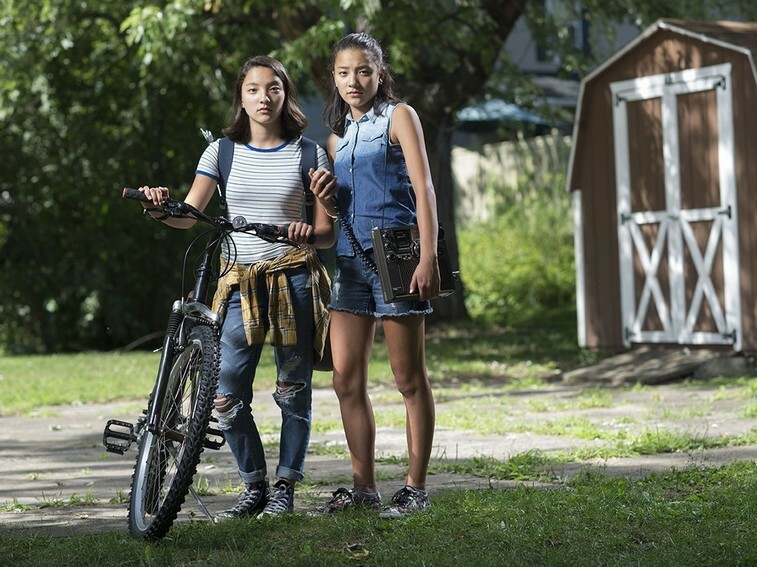 Shot in Ellenville, NY, “Before Mars” is the story of twin Korean American teenage girls who move to a new town with their military mom. Hana finds a ham radio and with the help of an Elmer, successfully makes contact with an astronaut on the International Space Station. In the story, that feat helps inspire the sisters to pursue careers in space exploration—one as an astronaut on the Mars mission, the other as an official at Mission Control. The amateur radio researcher on the film was Michael Gilmer N2MG. Read the National Geographic Channel Guide to Ham Radio which briefly mentions the achievement of UK radio amateur Adrian Lane 2E0SDR. The Emirates News agency WAM reports the United Arab Emirates (U.A.E) has entered the space race with a project to send an unmanned probe to Mars by 2021 in the Arab world’s first mission to another planet. A new U.A.E. Space Agency will be created to coordinate the U.A.E.’s growing space technology sector and to supervise the mission. The U.A.E. 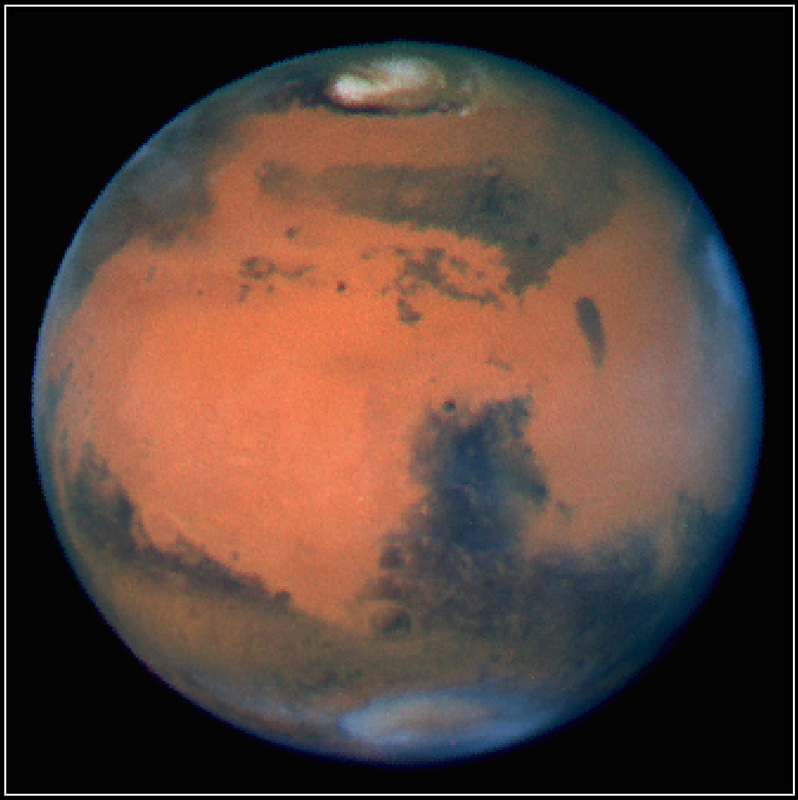 is one of only nine countries with space programmes to explore the Red Planet. The Mars probe’s nine-month and more than 60 million kilometre journey will coincide with the 50th anniversary of the U.A.E.’s formation. “The U.A.E. 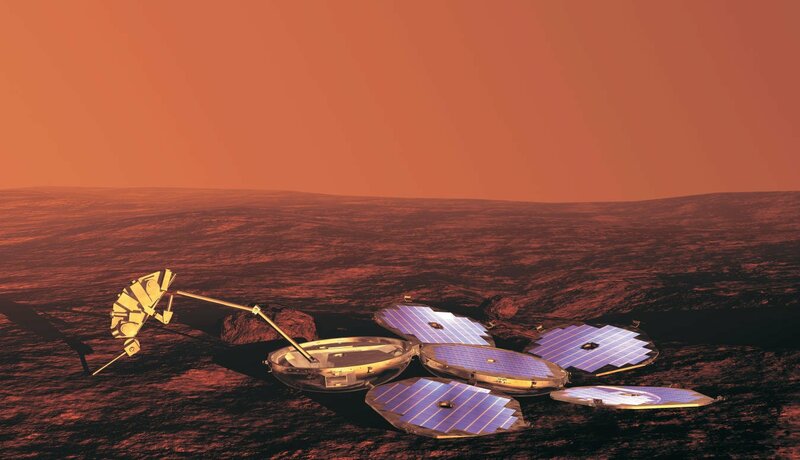 Mars probe represents the Islamic world’s entry into the era of space exploration. We will prove that we are capable of delivering new scientific contributions to humanity,” U.A.E. President His Highness Sheikh Khalifa bin Zayed Al Nahyan said, and added, “The U.A.E.’s purpose is to build Emirati technical and intellectual capabilities in the fields of aerospace and space exploration and to enter the space industry and to make use of space technology in a way that enhances the country’s development plans.” Vice President and Prime Minister and Ruler of Dubai, His Highness Sheikh Mohammed bin Rashid Al Maktoum, said, “Despite all the tensions and the conflicts across the Middle East, we have proved today how positive a contribution the Arab people can make to humanity through great achievements, given the right circumstances and ingredients. Our region is a region of civilisation. Our destiny is, once again, to explore, to create, to build and to civilise. “We chose the epic challenge of reaching Mars because epic challenges inspire us and motivate us. The moment we stop taking on such challenges is the moment we stop moving forward,” Sheikh Mohammed bin Rashid added. The mission will be led by Emiratis and so will expand the nation’s human capital through knowledge transfer from international partners, as well as increasing human knowledge about space exploration and distant planets. The Red Planet project would be a turning point in the U.A.E.’s development, establishing the space technology sector as a key component of the national economy for years to come. U.A.E. investments in space technologies already exceed AED20 billion, including satellite data and TV broadcast company, Al Yah Satellite Communications, mobile satellite communication company, Thuraya Satellite Telecommunications and Earth mapping and observation system, Dubai Sat. Sheikh Mohammed bin Rashid said the U.A.E. Space Agency would be responsible for supervising and organising all such activities, developing the sector, ensuring knowledge transfer, enhancing the U.A.E.’s position as a global player in aerospace, and maximising the contribution of space industries to the national economy. The agency will report to the Cabinet and enjoy financial and administrative independence. Globally, space technologies are becoming increasingly important to the security and economy of nations, in many cases backed by massive national programmes and establishments. The sector is integral to many aspects of life from telecommunications and navigation to broadcasting and monitoring of weather and natural disasters. The industry is estimated to be worth around $300 globally and growing by around 8% annually. “We aim for the U.A.E. to be among the top countries in the field of aerospace by 2021. We have a great belief in Allah and in the talents of our young people. We have the strongest determination, the greatest ambitions, and a clear plan to reach our targets,” President His Highness Sheikh Khalifa bin Zayed Al Nahyan said. The ARRL report when Ron Williams, N9UIK, and his team of “astronauts” head to “Mars” this spring, they’ll be taking Amateur Radio along, just as NASA space travelers have done. Williams is part of Mission 2 (of four) in the Hawaii Space Exploration Analog and Simulation — HI-SEAS, in which participants will simulate living and working within a Martian outpost — actually a solar-powered dome at a remote site some 8000 feet up on the slopes of Mauna Loa. Conducted by the University of Hawaii and Cornell University, the project has partial funding from NASA. “I am confident that when we eventually go to Mars, there will be some type of involvement with the Amateur Radio community,” Williams said, noting Amateur Radio’s long-standing role in space missions, including the International Space Station. “We would like to simulate this on this mission.” Part of that will mean integrating a 20 minute signal delay into all communications, whether via Amateur Radio or the Internet. “This will simulate the distance, when greatest, between Earth and Mars,” explained Williams, a clinical neuropsychologist from Indiana. At 60, he’s the oldest member of the team; the youngest is 26. Williams, is one of two hams on this crew increment. The other is Ross Lockwood, VA6RLW, of Alberta. “Our proposed outreach simulation to the Amateur Radio community will also involve this signal delay,” Williams continued. “To the best of our knowledge, this will be unique to any Amateur Radio special event ever conducted.” HI-SEAS also was able to obtain the special event call sign K6B for the project for nearly the entire length of the mission, instead of the typical 15 days. 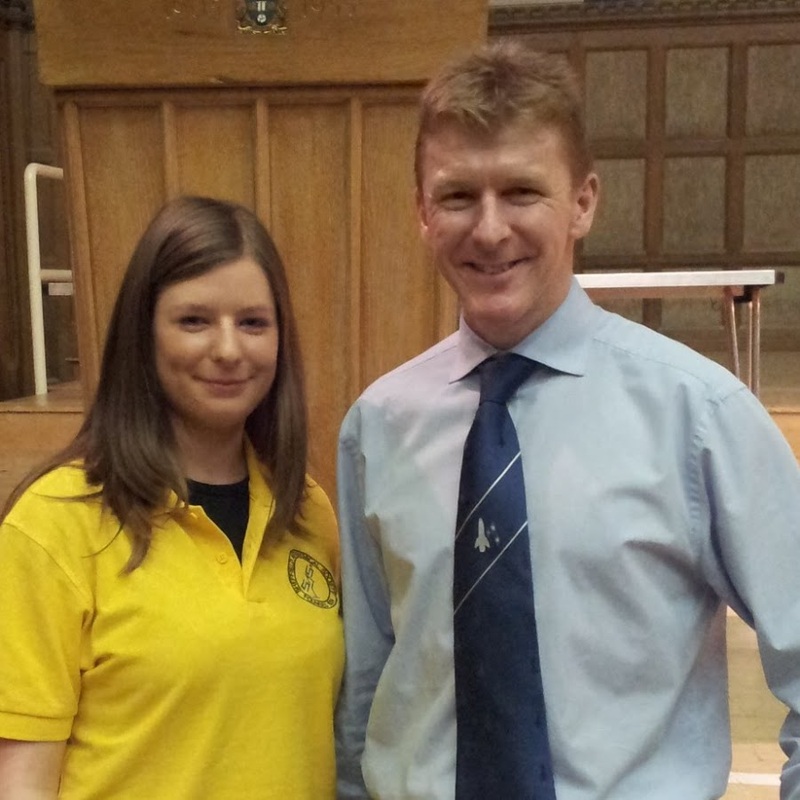 University of Sheffield astrophysics student and UKSEDS member, Gillian Finnerty, has made it through to the next round of selection for the first human mission to Mars. ITV news report she is one of just 40 from the UK who have been chosen to go through to the next stage of the selection process for the trip to the Red Planet. They say Gillian read about the private Mars One mission on Facebook and knew it was for her. 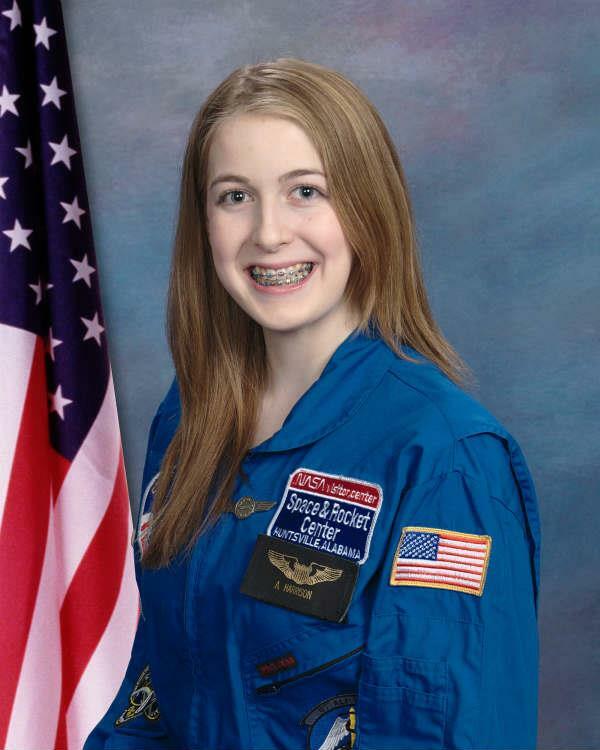 An incredibly enthusiastic, intelligent, visionary, and motivated young woman, Abigail Harrison is setting her sites on being the first astronaut to land on Mars. Starting in 5th grade with the GEMS program (Girls in Engineering, Mathematics and Science) to being invited as guest blogger for NASA’s ISS blog, corresponding with Italian astronaut Luca Parmatano KF5KDP / IR0ISS, and attending the legendary Russian Soyuz space launch as a VIP guest, Abby is well on her way. Currently, she juggles dual high school and college courses, gymnastics, blogging, and public appearances. With a deep appreciation for space exploration of the past, Abby has already embraced its future.